A ceremony was held Wednesday to mark the change of the Commanding Officer of the Gaza Division. The ceremony was headed by the Commanding Officer of the Southern Command, Maj. Gen. Herzi Halevi, commanders, family members and other participants. Brig. Gen. Eliezer Toledano is taking the place of Brig. Gen. Yehuda Fox, who has commanded over the Division for the past two and a half years. Maj. Gen. Halevi said at the ceremony: “65 kilometers of border fence, 365 square kilometers, terror organizations and so much hostility, heavy are the Gates of Gaza. Yehuda, you have carried this burden on your back for the past two years. You have carried it like someone who puts the residents of the area first, like someone who is ready to do anything so that eulogies said here in the area of the Gaza strip, like the one Moshe Dayan said over Roi Rotberg, will not be uttered again. This is a complex time. Since that eulogy we have progressed, developed and our advantages over our enemies are clear and tangible." "Two weeks ago the Chief of General Staff gave this Division a letter of appreciation for its very impressive tunnel detection activities, for its capacity to contain the long-term incidents on the border fence and for improving the security in the area. We have and will continue to do the best effort to improve this reality, with much determination, seeing the significant threats and with an understanding of the existing alternatives. Outgoing commanding officer Brig. 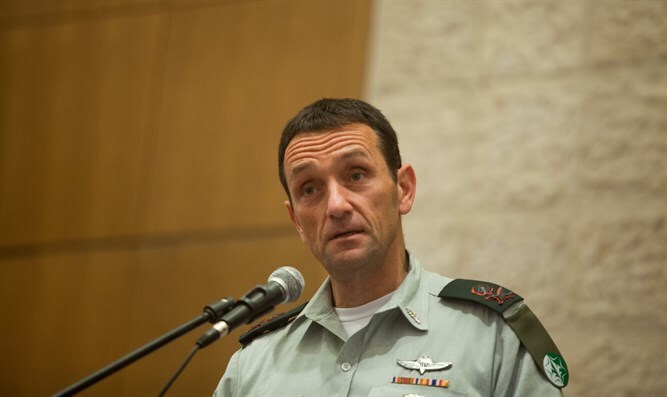 Gen. Yehuda Fox called the constant struggle against Hamas' terror attack tunnels the "most challenging task I have encountered in my military career." "The operation against the offensive terror tunnels has many various partners. "The laboratory," which contains members of the NGT, geological technology, intelligence and communications personnel, has lead to the deciphering and removal of another threat against the residents of the region. For over six months, the Division has been dealing with the events of Hamas' violent riots along the fence. Terror that the Hamas terror organization is trying to make look like spontaneous popular violence, when in fact Hamas arranges transportation, pays, demands participation and determines the level of violence." Incoming Commanding Officer of the Gaza Division, Brig. Gen. Eliezer Toledano pledged "to do all in my power to succeed in accomplishing this task. The troops operating in the Division will serve as an iron wall, steadfastly defending Israeli civilians, and as a raised iron fist that is ready to strike our enemies. No one will stop us from continuing to build our national home."